There are two main types of air conditioning. A split system is more common and cheaper to install. It requires a unit to be mounted on the top half of a wall inside as well as a unit to be mounted on the outside of the same wall. A ducted air conditioning system is mainly installed inside the roof and walls with large, tubular pipes. It has multiple outputs all in different rooms or areas. It is more costly to install but the running cost can be considerably cheaper. Installing a ducted air conditioning system looks aesthetically good because there are no big units anywhere as most of the installation happens unseen in the roof and walls. 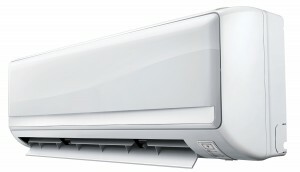 Check out our Fujitsu Air Conditioning products.